In the coming years, about one million people will leave the labor market of Poland. 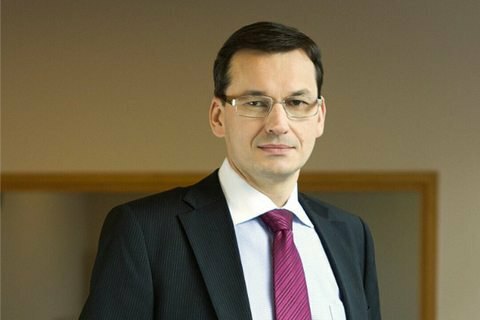 Deputy Prime Minister of Poland, Minister of Labour Mateusz Moravetsky offered to compensate the shortage of labor in the country at the expense of the Ukrainians. Speaking at the economic forum in Krynica on 7 September, the minister admitted that the country's labor market is bound to lose 750 thousand to 1.35 million workers until 2020, which makes up 10% of the working population of Poland, 300polityka.pl quoted the minister as saying. Moravetsky stressed that the government should make great efforts for this deficit was compensated. He believes that this can be done at the expense of guest workers from Ukraine. "Things are not going too well in Ukraine, so the attraction of two million Ukrainian citizens can serve as a strong impetus for Ukraine during 4 to 8 years. If the Ukrainians come, some of them will create families here but most will return [to Ukraine]," the minister said. "I would try and invite, on a friendly basis, hundreds of thousands of Ukrainian workers after the Ministry of Development, the Ministry of Interior and the Ministry of Family agree on this policy with the requirements of the European Directive, to support the adaptation process [of Ukrainians]. The arguments of the other side are mostly about the [social] security system. We will try to strike an acceptable compromise," the minister said. In February, the government of Poland adopted the so-called "Moravetsky plan", aimed to support the Polish business, its productivity, sustainable development of the country, increased investment, innovation expenditures, etc.